Brawl Stars is a game with over 200 different characters to pick and unlock. Each brawler in the game has their specific characteristics and powers and capabilities. To win a match or achieve an objective, it is essential to know how each of these characters performs. 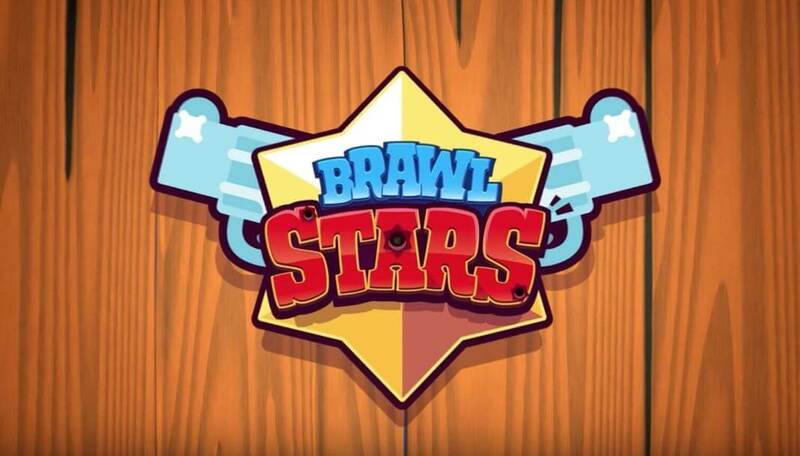 In this Brawl Stars Tier List, we have listed out several top brawlers into four tiers (S, A, B, C) and rate their performance in each of the seven game modes (Poor, Average, Good and Excellent). The short & simple version: this Brawl Stars tier list version is shortened from the detail analysis of the main tier list. This list will be listing characters in each tier. If you want to check deeper assessment, please refer the main tier list. The table version: this Brawl Stars tier list is almost the same as the simple version, only characters’ tier. You can use the table to sort for your reference. The full version: this Brawl Stars tier list version will be providing you with as many details and evaluation about each Brawl Stars as possible. Make sure you check the Table of Content for easy navigation in this Brawl Stars tier list. Use the SEARCH function or the Table Of Content below, if you use this Brawl Stars tier list on desktop. These two will help you A LOT! The rankings are based upon all maps combined: the Duo Showdown and Showdown are categorized into one group, and for a Boss Fight, both bosses scores are fused together. Also, please remember: Brawl Stars tier list should be used only for reference. Characters are indeed quite versatile to use in different situations ^^ So, play with what makes you feel comfortable. Staying at the top of this Brawl Stars tier list is Colt. He is a great brawler and most popular among players. He has a good range and has a quick reload time which makes him an excellent choice for relentless attacks. You can use Colt to defeat many enemies through various events as long as you stay far from the enemies. He has a powerful damage output despite his many past nerfs. Crow was one of the strongest brawlers, but in recent nerfs, he has weakened a bit, making him more bearable and less powerful. But he is still one of the toughest brawlers who are why we have placed him so highly in this tier. He is known for his long-range, speedy reload, fast movement and is useful in almost all the different game mode. With his energy, you can repeatedly poke the enemies and his easily accessible super makes him a great asset. Enemies can’t hide from his great poking if you use his shot to the corner and clip them. Jessie is an all-rounder. You would find her helpful in almost all game mode. She is versatile and extremely skilled for Heist. Her star power is more potent than most other brawlers with the same potentials. You will find the need for her in almost all modes, and her efforts are tremendous even in team battles. Her orb size makes her attacks highly anticipated, and enemies often fear to defend against her quickness. Known for her overpowered power and piercing cards, Tara is an excellent long ranger. This mystical brawler is hard to defend against, and she adds a magical aura of supernatural presence in all her attacks. She can hit anyone and pull any one of the opponents with ease. Her tarot cards are her source of motivation, and her Gravity Orb increases her potentials. She is not someone you can mess with and get away quickly. Beware! Spike is a genderless cactus that was always overshadowed by Crow. It plays a secondary role in the initial stages but as you use is more, you will find that its damage output is overpowering. Spike has overcome the limelight and is ready to shine and be a real prick against the enemies. Spike is also known to have dominated almost any maps in every game mode by efficiently trapping enemies. Even though Spike is often compared to Crow, Spike has better potentials in being a menace by being a portable shotgun with its exploding cactus mechanic that could easily shred an enemy. Poco was shunned by most players because he had only one purpose, which is to heal. However, with recent buffs, Poco has gained a new power, and he is a game changer. Not only has he won so much speed but he can also dish out hard damage on the enemies. His speed is something that would make the enemies scammer away before they even think of defending themselves. Initially, he had the least damage output, and his purpose was to heal but now, he can fight on his own, protect and defend and cause significant damage if he wants to. He is a hero and an asset for his teammates but a force to fear if you are an enemy. Barley was a very powerful brawler that most players took pride it. He has a menacing damage potential that the enemies fear, he is also prized for his fantastic capability to dominate the map, but with the recent addition of other attack features, his movement has been slowed down a bit. The introduction of the joystick to attack has made it harder to land shots, and his super is less accurate while shooting a target. Auto-aim feature was much more convenient, but with practice and focus, this fighter will dominate any arena. He is an assent if you are on a Heist or special events such as Robo Rumble. Ricochet is had also received a vast nerf like Colt, and his prevalence is often questioned when Colt is available. He could attack almost anyone and even launch his power through many barriers. He is an excellent long ranger, and his extra long bounce shot is admirable. He is slowly climbing the tier ladder even though most players still consider him a practical option. His ability to charge fast and dish out high damage returns makes him an excellent choice for Bounty mode. He is dominant in any situation because he is stronger against most brawlers and his quick movements make him hard to target. He is independent alone and highly reliable in a team. He can single-handedly take on a tank or battle against a Piper, his powers are hard to access, but once he performs, it is magic. He is not usable at tackling a lot of situations, but if you strategise well, his dynamite will clear your way against enemy tank attacks with ease. Take him on a Heist, and he would prove his might in crashing out saves and gain you significant points. Revived from the common purpose, Nita has earned her way up the tier ladder with proper backing. Proving that she deserves the spot, she can now belt out some amount of attack output, better than her initial production. Her bear movement is faster which makes attacking the enemies easy. These combined factors make her a threatening bear. She is also versatile enough to take on enemies in Showdown, but her only weakness is that she is not a close range brawler. Nita can put her bear in the safe on Heist or agro in Gem Grab or launch her bear power in Bounty as a shield. With the change in the landscape settings, Bull has become more visible and more accessible to defend. He was initially in the limelight most of the times because most of the buffs which brawlers saw weakened him a lot but if you want to make use of his full potentials, auto aim from behind a bush to get the aggression out of him. He is still one of the most robust tanks in the arena, and his point-blank shots are the deadliest. This factor makes him an excellent Heist agent, and an asset defender or a quick save breaker. The fallen Undertaker upgraded to a higher speed, but he is still a frail brawler as compared to other tanks. He is not equipped to deal with long-range fighter even if he aims correctly and even auto-aim does not seem to help his range shots. Getting him too near a tank should be strictly avoided because he is equipped to handle low health brawlers instead of high damage or good health brawlers. The introduction of auto-aim does nothing for him, and he seems to have lost his fire. Unless very necessary, best to keep him for Brawl Ball and not other events. Considered as a challenge to use him many situations because of his slow reload and shots, Brock was never a powerful Brawler. He can launch high damage attacks quickly, but his punishment for missing a shot is pitiable. He is also slow in recovering and highly vulnerable to attacks without his super. It is still risky putting him out in the field without his super and you will need a robust backup. His range is also questionable and it a gamble to hit the target. Do not take high risks with Brock and only use him when success is guaranteed. Piper is a fighter who excels in killing from a long range. Although there have been some improvements in her short range attacks, her capabilities are still doubtful. Piper de la Prim does not open maps that could give the enemies an upper hand, but she can be of great help in closed maps because of her ability to break walls with ease. She performs well when she gets it right but do not rely on her skills alone. Initially, Shelly was an excellent finisher because of her incredible range and little attack spread. She can chase down enemies and eliminate them quick, and since her recent nerf, she has gained back a bit of her range. She can track down opponents with poor health and kill them with her menacing pokes. However, she is weak against brawlers with high to medium health, and Her DPS eludes other brawlers which makes her an underdog in many game modes. Penny has the potentials of being the most sought-after overpowered characters in the entire game, however, her bag burst technique makes it hard to maneuver her full potentials as it is hard to align it correctly when the clock is running. Her attacks with the coins can also be avoided if the enemies stack up themselves so this makes her attacks unreliable. However, her cannon super is a big asset since its recent buff, and she can use it to punish hiding enemies easily. If her enemies hide loner, she can also bombard them. Frank is predictable with his use of powers. His super punch is something to avoid in close range as it would take very long to recover from that deadly punch. Stay at a safe distance from him, and you will be able to capture him easily. His super delay and attacks are easy to exploit, and you can also block his super. Frank’s most significant advantage is his ability to charge quickly with just three shots. He is the most unchallenging to get and also the most painless to capture. For the sake of this Brawl Stars tier list, using him is exciting but also highly risky. Like all other tanks in the games, Daryll is also currently suffering since the last buff. He lacks power control but excels in short range. He is an excellent choice for a quick break in and kills kind of job because he shows up at any scene quite quickly. He can easily wipe out weak enemies which makes him perfect for a Heist but not anything else. He is a great brawler but to be used but when he is in the fiend, the player and the enemy has to be more vigilant. When Pam was first introduced in the game, he did not have much damage output. She was always a long-range poker and only deals with damage nearby. She can deter enemies with her sweeping side-to-side attacks and can even kill with it. With the addition of some damage buff, she has improved her place among other brawlers, making her one of the versatile but weak brawlers for other events, except Gem Grab. El Primo is almost always the last one standing because he is hard to balance and even harder to play. He is an ineffective brawler because he has to get extremely near his opponent to unleash his potentials. He can only attack forward, so he also needs to have a sturdy backup in team attacks. Unreliable on his own, El Primo is a gamble in and off the battlefield. Bo a challenging brawler to be introduced in the game. His attacks are weirdly uncomfortable to handle and figuring him out is not even worth it, but once you get his drift, he is an excellent Showdown. Using him requires skills, and he is not cut out for a specific job but can be used for mild attacks here and there. He is useless without his star power so unless you have it, better leave him unless you are sure of a win. The Brawl Stars tier list is based on personal opinions. So you are reminded to consider the fact even though some brawlers are rated low here, they can still be useful when they are in the used by the right player. Do keep up with us for more updates!